Photo: Ancient History via Creative Commons. 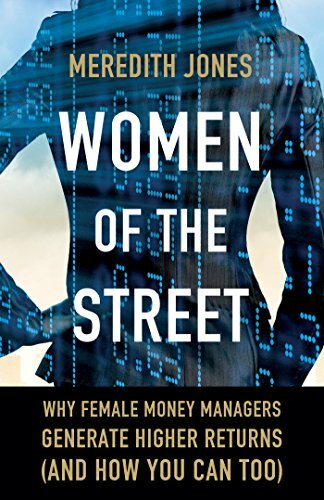 Author of Women of the Street: Why Female Money Managers Outperform (And How You Can, Too). Palgrave, April 2015. White Paper: Women in Alternative Investments: A Marathon, Not a Sprint (Rothstein Kass, 2014). White Paper: Women in Alternative Investments: Building Momentum (Rothstein Kass, 2013). White Paper: Hedge Fund Outlook: Water, Water Everywhere (Rothstein Kass, 2013). White Paper: Private Equity Outlook: On The Ascent (Rothstein Kass, 2013). White Paper: Hedge Fund Outlook: Hedge Funds 2.0 (Rothstein Kass, 2012). White Paper: Private Equity Outlook: Searching for Balance (Rothstein Kass 2012). White Paper: Venture Capital Outlook: Renewed Optimism, But Have We Turned The Corner (Rothstein Kass, 2012). “Performance Persistence of Short-Biased Hedge Funds” in Handbook of Short Selling, Greg N. Gregoriou, ed. Elsevier, 2012. White Paper: Affirmative Investing (Barclays Capital, 2011). White Paper: Emerging Managers: Good Buy or Good Bye? (Barclays Capital, 2011). White Paper: The Case for Portfolio Diversifiers (Barclays Capital, 2011). Contributor to the Encyclopedia of Alternative Investments, Greg N. Gregoriou, ed. Chapman and Hall, 2009. “An Examination of Fund Age and Size and Its Impact on Hedge Fund Performance,” Journal of Investing, vol. 18, no. 1, spring 2009. “Identifying and Mitigating Valuation Risk in Hedge Fund Investments” in Operational Risk Toward Basel III: Best Practices and Issues in Modeling, Management, and Regulation, Greg N. Gregoriou, ed. Wiley Finance, 2009. “Examination of Fund Age and Size and Its Impact on Hedge Fund Performance,” Derivatives Use, Trading, and Regulation, vol. 12, no. 4, February 2007. “Identifying and Monitoring Risk in a Fund of Hedge Funds Portfolio” in Funds of Hedge Funds: Performance, Assessment, Diversification and Statistical Properties, Greg N. Gregoriou, ed. Elsevier, 2006. “Investing in Hedge Funds Through Multimanager Vehicles” in Hedge Funds: Insights in Performance Measurement, Risk Analysis, and Portfolio Allocation, Greg N. Gregoriou, Georges Hübner, Nicolas Papageorgiou, and Fabrice Rouah, eds. Wiley Finance, 2005. “Manager Searches and Performance Measurement” (with Milton Baehr) in Hedge Funds: Definitive Strategies and Techniques, Kenneth S. Phillips and Ronald J. Surz, eds. Wiley Finance, 2003. With Milton Baehr.